This book is the culmination of ten years of Grant writing Haiku. It has been a hilarious struggle and a way of life. These poems cover a lot of bases, from politics to alternate realities, from jokes to death, you can find it here if you come looking. It’s funny, but it’s also sobering, as well as a meaningful accomplishment. 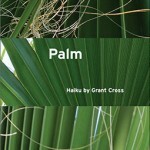 Grant has honed his craft and these poems attest to that. There’s no filler here. Many, many poems that he wrote did not make the final cut. You can read the book straight through, but you can also open it to any page and start there. And the paper that the cover is printed on, kind of like shark skin. 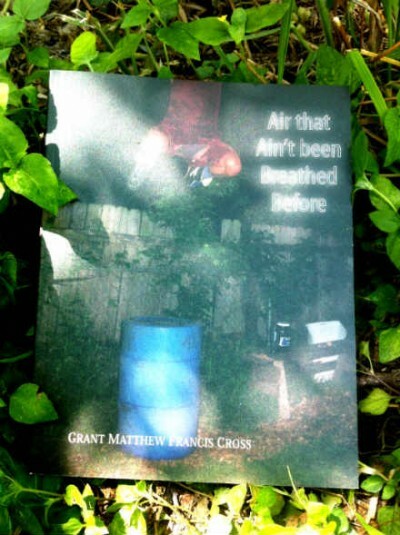 It is also important to note that this book was funded mostly (but not totally) by crowd sourcing, which speaks to the fact that Grant has not only been writing this poetry for years, but also sharing it with people who have benefitted from his visions. You will too.